One of the most popular street foods at home is grilled (or lightly fried) fish, served between slices of our traditional white loaf. Fishermen grill the fish at their boats and prepare this sandwich right there for you; with a breeze from the Bosphorus and view of boats passing by, that first bite is just heavenly. 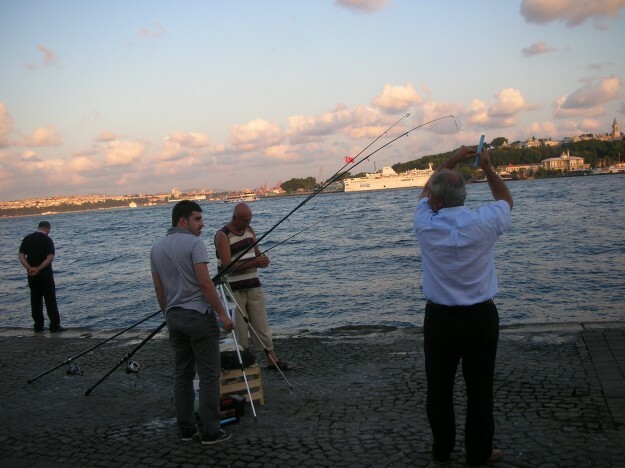 Turkey is bounded by the sea on three sides – the Mediterranean,Aegeanand the Blacksea. With the Sea of Marmara, the Bosphorus and Dardanelles at northwest, Turkey has over 7,000km (4,350 miles) of coastline. The plentiful fishing waters provide daily catches of bluefish, red and grey mullet, swordfish, sea bass, tuna, bonito, turbot, plaice, mackerel, sardines, anchovies and many more. In most of the coastal regions, fish is bought very fresh, straight off the boats at the daily fish market, still swimming around in the buckets or beautifully arranged on ice. Well, my inspiration for this easy and delicious grilled fish served over crunchy sourdough bread with capers & herb mayonnaise came from Hugh Fearnley-Whittingstall’s River Cottage TV series; I love their fresh, no fuss intake on food and making the most of seasonal ingredients. I tweaked their recipe with my sumac dressed red onion, tomato and parsley salad. The citrusy, tangy sumac really goes well with the grilled fish. 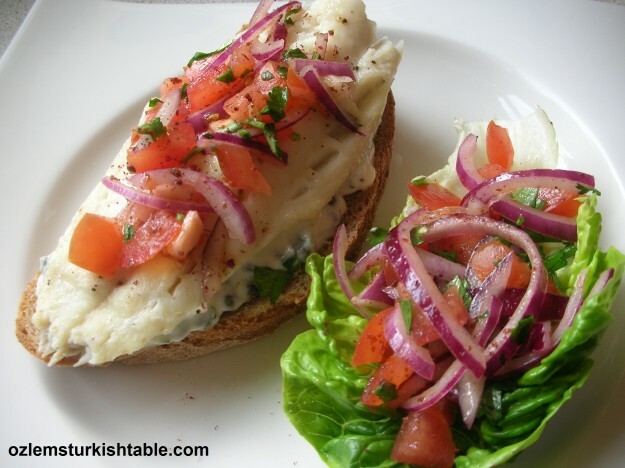 I hope you have a go at this easy, delicious fish sandwich (Balik Ekmek, as we say it in Turkish) with the refreshing sumac salad. Haddock fillets, mackerel, sea bass, cod or sardines would especially work well here. If you’re not a big fan of bread, boiled potatoes by the side is excellent too. 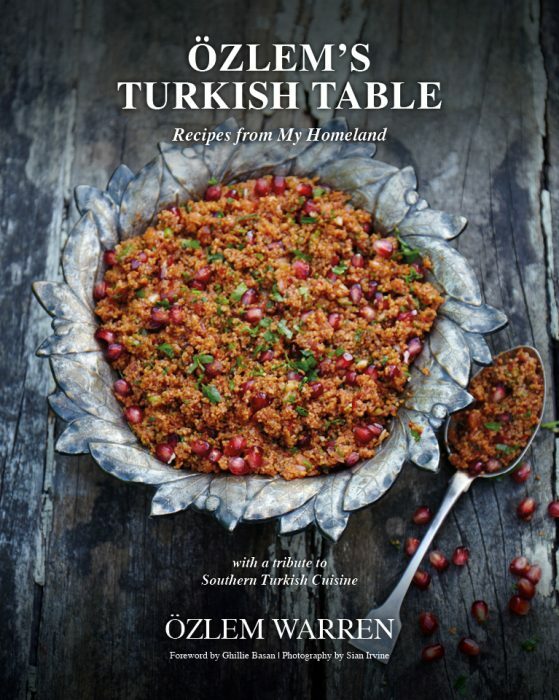 This delicious fish recipe along with over 90 scrumptious and healthy Turkish recipes are included at my cookery book, Ozlem’s Turkish Table, Recipes from My Homeland – Signed copies are available to order at this link for a limited period, if you’d like a copy for yourself or gift to a foodie. Grease the baking tray with a little olive oil (or line aluminium kitchen foil on a baking tray then grease, for the ease of cleaning). Place the fillets of the fish, drizzle a little olive oil over them. Coat the fish with the seasoning and bake or grill for the required amount (please refer to the cooking instructions for the fish of your choice). 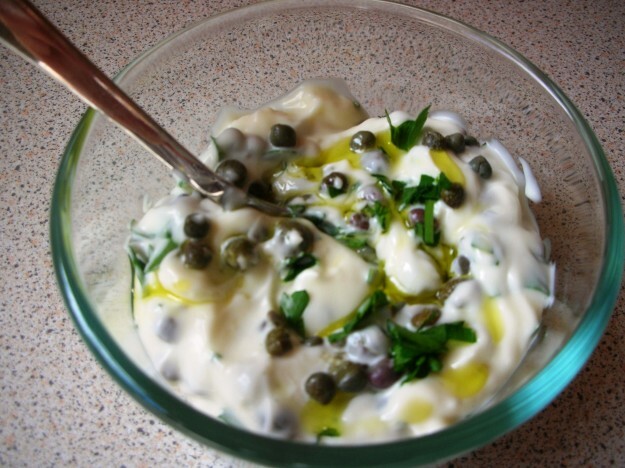 While the fish is cooking, make the herb mayonnaise with capers. In a small bowl, combine the mayonnaise, chopped parsley and the rinsed baby capers. Drizzle with a little olive oil; your herb mayonnaise is ready. 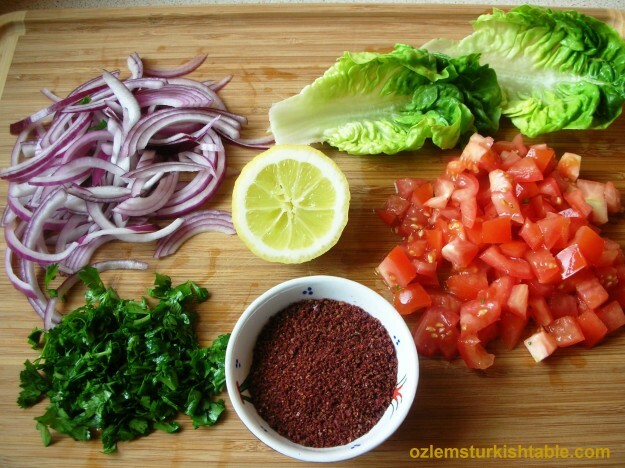 Tangy sumac flavors red onions, tomatoes and parsley beautifully; this salad is excellent with the grilled meat and fish. For the sumac salad; work the salt and sumac into the onion slices with your hands really well in a bowl. This will soften the onions, make them more palatable and let the sumac really penetrate to the onions. Add the chopped tomatoes, parsley, juice of lemon and extra virgin olive oil into the bowl and combine well. Season with ground black pepper; your salad is ready to go. Once the fish is baked, slice the sourdough bread (you can toast the bread if you like too.) Spread a thin layer of the herb mayonnaise over the bread and place a cooked fish fillet over it. Then place a spoonful of the sumac salad over the bread. You can add the gem lettuce and another slice of bread over the top. Or you can simply enjoy as an open fish sandwich with one slice of bread. The sumac salad is also lovely served on the gem lettuce slice. 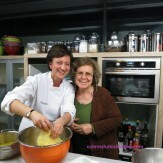 Ozlem, thank you for sharing a bit about Istanbul, your fish recipe with sumac. Sumac is another wonderful ingredient that adds a tart flavour to a dish and colour. Thank you as well for your kind mention! You are very welcome, your calamari with the lemon zest is a must try. I very much enjoy sumac too, a wonderful alternative to lemon to add a bit of tartness to the dishes, as well as color. 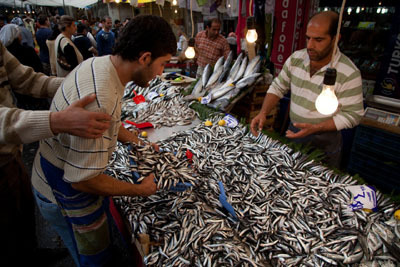 I am glad you enjoyed the post – I love the fish markets at home too! these look sooooo good!!! i can’t get fish like this but i can use something else. i love sumac on so many things! Thanks Joyce, I love sumac too, goes so well with fish and on salads. Any white fish, or even shellfish or calamari may work, hope you can try sometime. 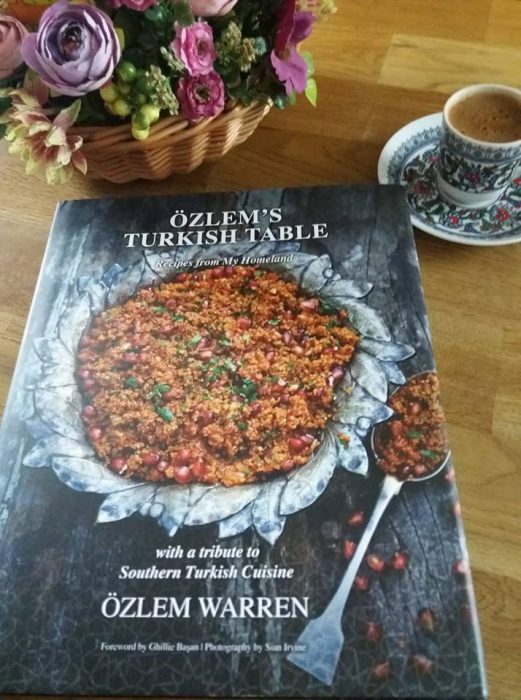 Özlem, this is delicious beyond words – you have me salivating…. 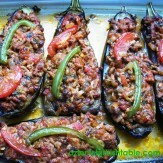 Delicious mouthwatering food and pictures, Ozlem! 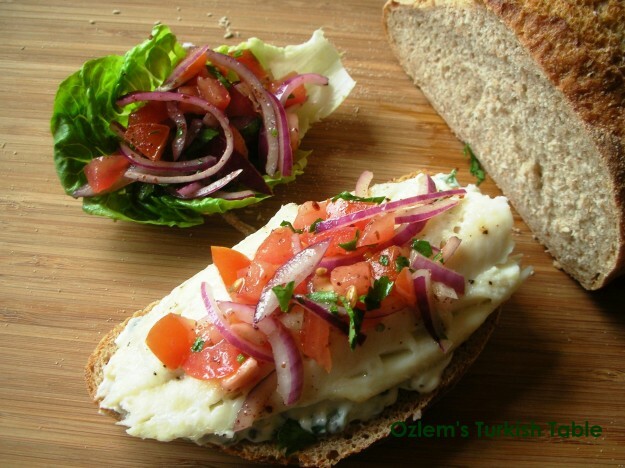 Fish on bread with red onion sumac salad to top it, can’t wait to try this out! A simple way to bring fish to the dinner table and have everyone asking for seconds:) Yummy! Much love, Peri. Lovely combination of flavours. Certainly seems to beat a fish finger sandwich. Love that idea of the sumac on the salad. Sumac adds such a delicious lift to the flavours of so many dishes. Thanks Phil, sumac is certainly the star of this dish; I very much love its refreshing, tangy flavor too. 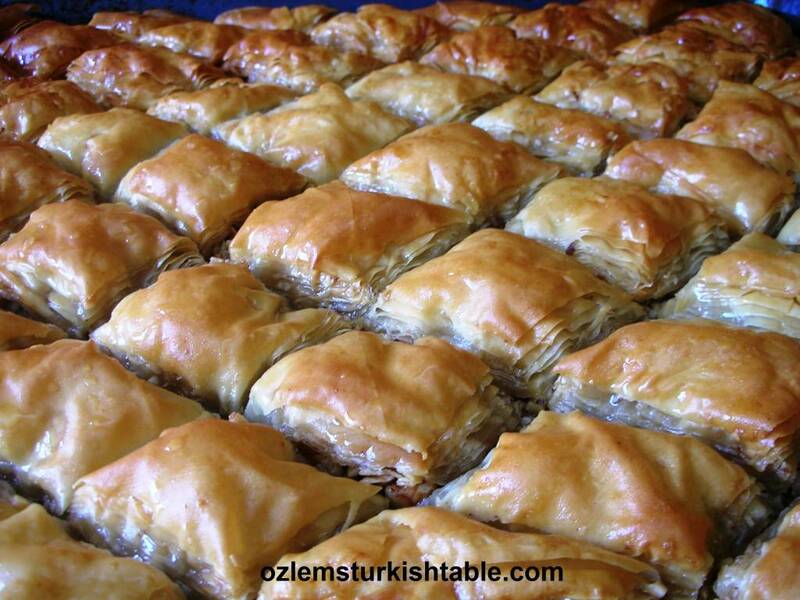 Giriti is a must try when you visit Istanbul. If you are looking for a great dinner with friends you’l surely enjoy your time here. 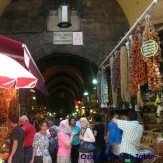 I agree with you; love Giritli, their mezzes, fish and ambiance is wonderful – thank you for stopping by! Hi, I have been to Turkey but only a couple of tourist resorts, not Istanbul unfortunately. However, in Leeds Kirkgare Market there is an excellent food stand which sells mackerel sandwiches, they are just lovely. I wanted to find a recipe so thanks very much.